Jennifer Ramsey recently joined the staff at the School of Medicine as coordinator of the school’s $3.2-million Students in Training, in Academia, Health and Research (STAHR) pipeline grant program. She will support the grant leadership team and the senior program coordinator once those positions are filled. Ramsey is a certified health education specialist. As such she brings to her role excellent skills in program support and coordination, data management, and reporting on analysis results for reports and strategic decision making. In addition, she has worked in higher education at the UMKC School of Dentistry, Kansas City University of Medicine and Biosciences, and in secondary health, math, and science education while living in Arizona. Her office will be located between the dean suite and admissions. Her contact information is: ramseyjm@umkc.edu and 816-235-6169. The STAHR program is a two-pronged initiative to increase the number of students from disadvantaged backgrounds entering healthcare programs and better prepare them for success. 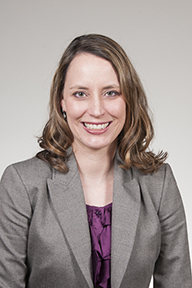 The School of Medicine has announced that Stacey Algren, M.D., clinical assistant professor of obstetrics and gynecology, will serve as the chair of the Council on Evaluation. Algren, a 2001 graduate of the School of Medicine, begins her new role as council chair in June, 2018. The appointment is for a seven-year term that will run through 2025. The Council on Evaluation develops and applies policies and procedures to assess the academic and professional development of medical students as they progress through the School of Medicine. Its decisions affect the careers of our students, and the Council strives to render decisions that are consistent and in the best interests of our students and the medical program. In 2009, Algren joined the Council on Evaluation, and most recently served as the vice-chair. She also serves as associate program director for the School of Medicine’s Obstetrics and Gynecology Residency Program and maintains a busy clinical practice at Saint Luke’s Hospital on the Plaza. After receiving her medical degree in 2001, Algren completed her residency in obstetrics and gynecology at UMKC. She successfully completed fellowship training in pelvic surgery at Emory University. 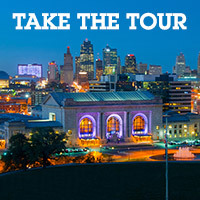 She returned to Kansas City in 2007 and joined the staff at Saint Luke’s Hospital, where she is the medical director of the Women’s Care Clinic. The School of Medicine also recognizes the conspicuous service of Sara E. Gardner, M.D., who completed a seven-year term as Council on Evaluation chair. 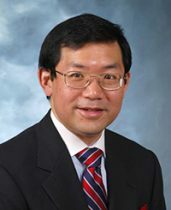 The Federation of State Medical Boards and National Board of Medical Examiners have appointed Steven Go, M.D., professor of emergency medicine, to serve on a newly formed Special Purpose Examination (SPEX) oversight committee. The committee will manage a special purpose exam for physicians who currently hold, or who have previously held, a valid, unrestricted license to practice medicine in a United States or Canadian jurisdiction. It is responsible for a wide range of exam topics, such as selecting appropriate testing methods; evaluating and approving blueprints, objectives, and test material formats; adopting test polices, and oversight of a research agenda and other uses of the exam. The SPEX is provided for physicians seeking licensure reinstatement or reactivation, or those involved in disciplinary proceedings that determine a need for evaluation. The oversight committee is a new group that assumes the responsibilities of the governing and program committees of the Post-Licensure Assessment System. Go’s appointment officially began in January. His new role is a continuation of his interest in medical student and physician competency assessment and credentialing issues. He is also serving on the United States Medical Licensing Examination management committee that is responsible for all USMLE step examinations. In addition, Go has also served as a board member for the National Board of Medical Examiners. 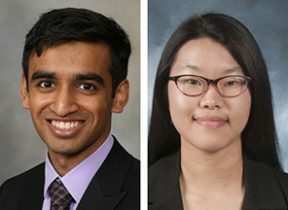 Sixth-year medical student Rahul Maheshwari and fourth-year medical student Diana Jung have been selected to take part in national initiatives with the American College of Physicians. Maheshwari has been chosen to participate in a four-week ACP Health Policy Internship. Jung has been selected to the ACP’s national Council of Student Members. The appointments were announced by the ACP Missouri Chapter following its inaugural Advocacy Day at the Missouri state capital in Jefferson City in March. At the end of April, Maheshwari will travel to Washington, D.C., where he will work directly with ACP staff. The internship provides medical students learning opportunities in health policy and advocacy. Interns also learn about the legislative process as they assist in the research and analysis of current health and medical issues and policies. Part of Maheshwari’s role will be that of advocate, attending Congressional hearing and coalition meetings and working with government affairs staff in lobbying efforts with members of Congress. He will also be part of leading the ACP’s Leadership Day to discuss medical issues of particular interest to medical students and residents/fellows. Jung was selected to an at-large position with Council of Student Members. The group works closely with the ACP Board of Regents and Board of Governors to review programs, products and services. It also promotes internal medicine as a career, the value of ACP membership to medical students, and aligns council activities with the ACP’s strategic plan. ACP is a national organization of more than 150,000 internists, internal medicine subspecialists, medical students, residents and fellows. It is the largest medical-specialty organization and the second-largest physician group in the United States. School of Medicine Dean Steven L. Kanter, M.D., has appointed Brandt Wible, M.D., interim chair of the Department of Radiology effective April 1, 2018. Under Wible’s leadership, the Department of Radiology will continue its important role in the School of Medicine’s undergraduate and postgraduate education and research programs. Wible received his M.D. from the Rush Medical College. He completed his residency in diagnostic radiology at the Medical College of Wisconsin and a fellowship in interventional radiology at the Johns Hopkins School of Medicine. Wible is a former United States Peace Corps Volunteer and is a member of the Alpha Omega Alpha Honor Society. He is the author of numerous peer-reviewed publications and textbook chapters and recently published a second edition of a textbook on interventional procedures in radiology. His clinical interests include oncologic and vascular imaging and treatment and clinical research at Saint Luke’s Plaza and Lee’s Summit Hospitals. Kanter expressed his thanks and appreciation to Jeffrey Kunin, M.D., for his leadership as interim chair of the UMKC School of Medicine from 2016 to 2018. Former School of Medicine Dean Betty M. Drees, M.D., F.A.C.P., has been appointed president of the Graduate School of the Stowers Institute for Medical Research. With more than 25 years in clinical practice, research, education, and administration, Drees is Dean Emerita and the immediate past dean of the School of Medicine. She served thirteen years in that role, from 2001-2014. Drees serves as an endocrinologist and a professor in the Department of Internal Medicine and the Department of Biomedical and Health Informatics at UMKC, roles she will continue to serve concurrently with her role at the Graduate School of the Stowers Institute. Her interests center around community impact and improved quality of health care, such as prevention of diabetes mellitus and prevention of fractures. She leads a study on community interventions to prevent type 2 diabetes mellitus, titled “Reducing the Burden of Diabetes in the KC Area: Accelerating Innovation through Collaboration” and funded by the Health Care Foundation of Greater Kansas City. She currently serves as president of the Community Leadership Board of the Kansas City American Diabetes Association. The UMKC School of Medicine has announced that Brian Carter, M.D., will serve as the next William T. and Marjorie Sirridge Professor in Medical Humanities. An internationally-recognized expert in medical bioethics and neonatal palliative care, Dr. Carter is the recipient of numerous NIH grants. He has published extensively in the areas of neonatology, neonatal intensive care, palliative care, and bioethics. Carter is the author of three textbooks on neonatal intensive and palliative care. Carter is a graduate of the University of Tennessee College of Medicine and is a member of the Alpha Omega Alpha Honor Medical Society. He completed his postgraduate training at Fitzsimons Army Medical Center and the University of Colorado Health Sciences Center. He is board certified in pediatrics and neonatal-perinatal medicine. Carter served as an active duty U.S. Army Medical Corps officer from 1983 though 1996 and is a decorated Gulf War veteran. The William T. and Marjorie Sirridge Professorship in Medical Humanities was endowed in 2008 though the generosity of Drs. William and Marjorie Sirridge, two of the UMKC School of Medicine’s Founding Docents. The UMKC School of Medicine has announced that Stephen Jarvis, M.D., will serve as interim academic chair of the UMKC Department of Psychiatry. Jarvis received his medical degree from University of Missouri-Columbia, and completed residency and fellowship training from the Western Psychiatric Institute and Clinic in Pittsburgh, Pennsylvania. As a UMKC faculty member, Jarvis has held multiple administrative positions at Truman Medical Centers and at the former Western Missouri Mental Health Center. He serves as the associate chief medical officer and clinical department chair for Psychiatry at Truman Medical Centers. Jarvis assumed his new role on November 20, 2017. He replaces Nash Boutros, M.D., who served as chair of the UMKC Department of Psychiatry and medical director for the Center for Behavioral Medicine from 2014 to 2017. Boutros, a professor of psychiatry, holds tenure in the department of Biomedical and Health Informatics. Boutros will remain at UMKC to continue his research program. Paula Monaghan-Nichols, Ph.D., has been selected as the new chair of Biomedical Sciences, and Michael Wacker, Ph.D., will serve as vice chair. UMKC School of Medicine Dean Steven Kanter, M.D., is pleased to announce two key appointments as the school continues to align itself for the future. 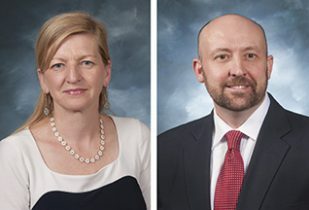 Paula Monaghan-Nichols, Ph.D., has been appointed Chair of the Department of Biomedical Sciences and Michael Wacker, Ph.D., has been appointed Vice Chair. Christopher Papasian, Ph.D., who has served as department chair since 1998, will retire in December. Although Dr. Papasian will remain Chair through December, Drs. Monaghan-Nichols and Wacker will begin to work with Dr. Papasian on September 1 to assure a smooth transition of leadership responsibilities in the department. Both Dr. Monaghan-Nichols and Dr. Wacker are exceptionally qualified for their new leadership positions. Dr. Monaghan-Nichols came to the School of Medicine in 2016 as associate dean of research. She previously served on the faculty of the Department of Neurobiology at the University of Pittsburgh School of Medicine, where she received numerous awards for teaching, mentoring and research. An expert in genetics and neurobiology, she has maintained a continuous record of funding from the National Institutes of Health for research since 1999. Her research focuses on identifying genes and environmental factors that alter the development of areas in the brain essential for emotion and cognition. 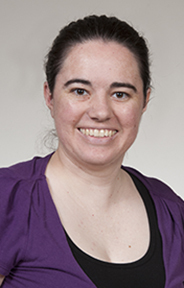 Dr. Monaghan-Nichols earned her undergraduate degree in genetics at Trinity College in Dublin, Ireland. She received a Ph.D. in genetic engineering and molecular biology and did a post-graduate fellowship in molecular genetics and development at the Medical Research Council in Edinburgh, Scotland. Dr. Wacker has been a member of the School of Medicine faculty since 2007. He has excelled in teaching, research, and service, most recently working on academic and faculty initiatives as associate dean for academic affairs. He also has served as assistant dean for student research, as vice chair of the council on evaluation, as a faculty senate representative, and as a member of numerous curriculum, selection and faculty search committees. 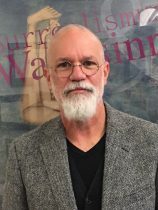 Dr. Wacker is course director for the Human Structure and Function series taught to medical students and teaches physiology courses in both Master of Science in Anesthesia (MSA) and Master of Medical Science Physician Assistant (MMSPA) programs. As a researcher, he maintains a cardiovascular laboratory to study factors that may directly alter cardiac myocyte calcium handling and cardiac function during conditions such as chronic kidney disease. He has received extramural funding through the NIH and the American Heart Association. Dr. Wacker earned his Ph.D. from the University of Kansas. He completed his undergraduate degree at Texas Christian University. Dr. Papasian’s long and productive tenure as chair will be celebrated at an event this fall. Timothy Hickman, M.D. ’80, M.Ed, M.P.H., F.A.A.P., associate teaching professor of biomedical and health informatics, has been selected to serve in two national positions. He was recently elected as president of Association for Prevention Teaching and Research (APTR) Board of Directors. He has also been chosen as a representative of the American Academy of Pediatrics to serve on the March of Dimes Prematurity Campaign Collaborative. He has been a member of the ATPR Board of Directors, the Paul Ambrose Scholars Planning Committee and the Board of Governors for the American Journal of Preventive Medicine. Working with the March of Dimes, Hickman will be part of the Clinical and Public Health Practice workgroup. He also currently serves as on the American Academy of Pediatrics’ section on epidemiology, public health and evidence. The group is one of five March of Dimes workgroups designed to foster communities that provide the healthiest possible start to life for the most vulnerable newborn infants. Its purpose is to explore and share the best available research and experience to improve health-care practice and public health policy for newborn children. The prematurity campaign collaborative was launched in 2003 to raise public awareness of the issues surrounding premature berths and to decrease premature births in the United States. It is made up of nearly 200 leaders in maternal and child health organizations throughout the nation.